One of the greatest things about being involved in alternative building is the pleasant surprises I am fortunate enough to receive on a somewhat regular basis. 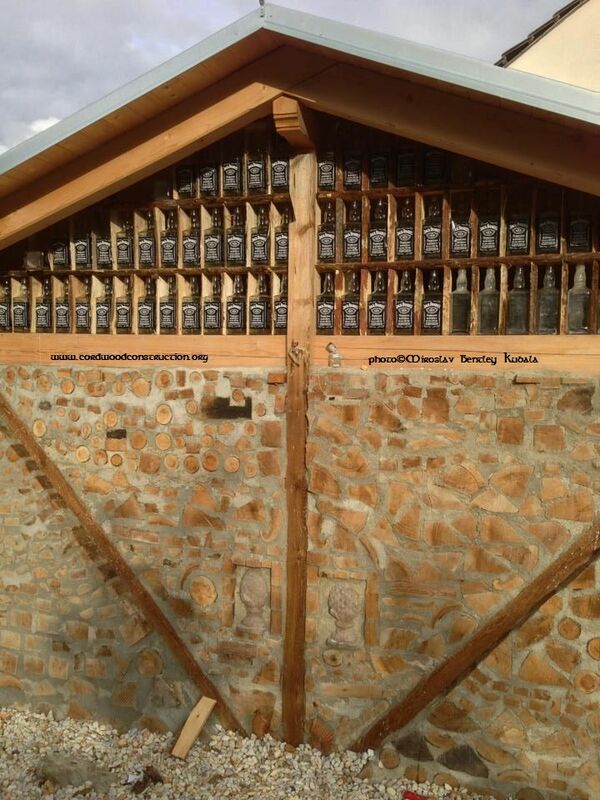 People are so gracious in sending me pictures of their cordwood projects. I feel it is my job to post as many new and unique pictures as possible, to help inspire and encourage others to build themselves. Here are the latest creations to come my way–a big thank you to the builders. 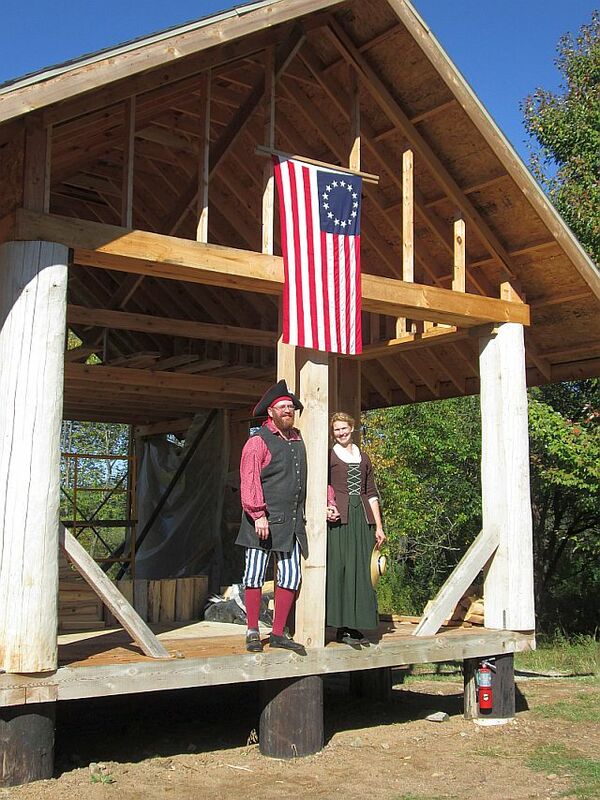 Eric & Beth pose beneath a Revolutionary War flag in “period” dress. 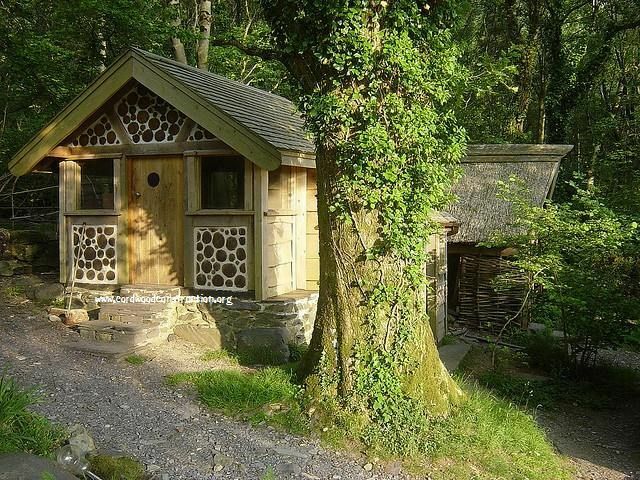 Their cordwood cabin is on massive telephone posts with a a structurally sound floor system. All the cordwood is away from the splashback zone. All the cordwood is Northern White Cedar. We held a private mortaring session at their beautiful setting and got them started in the right direction. 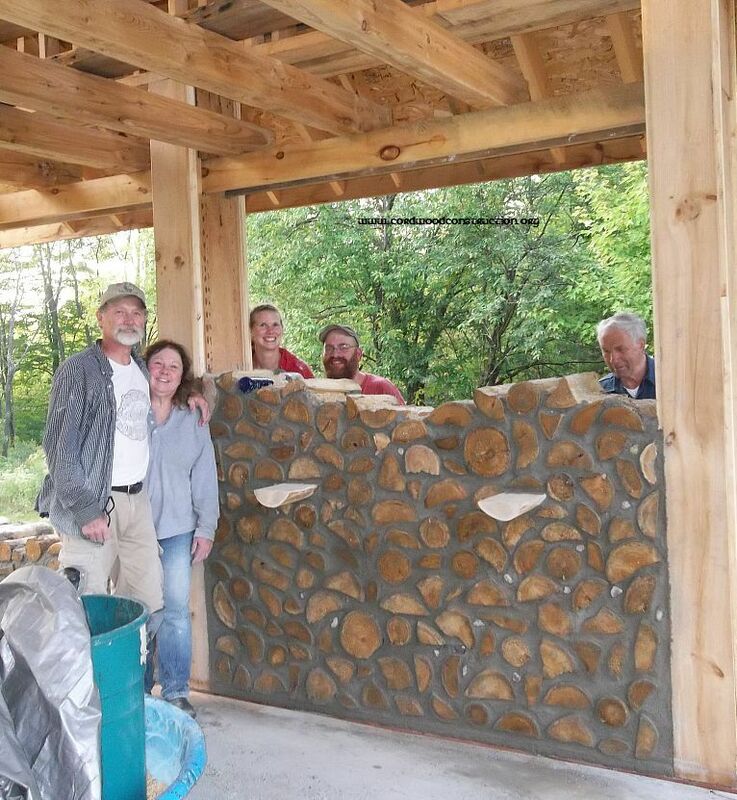 Pat & Beth are building a code approved cedar cordwood home in Lincoln County. 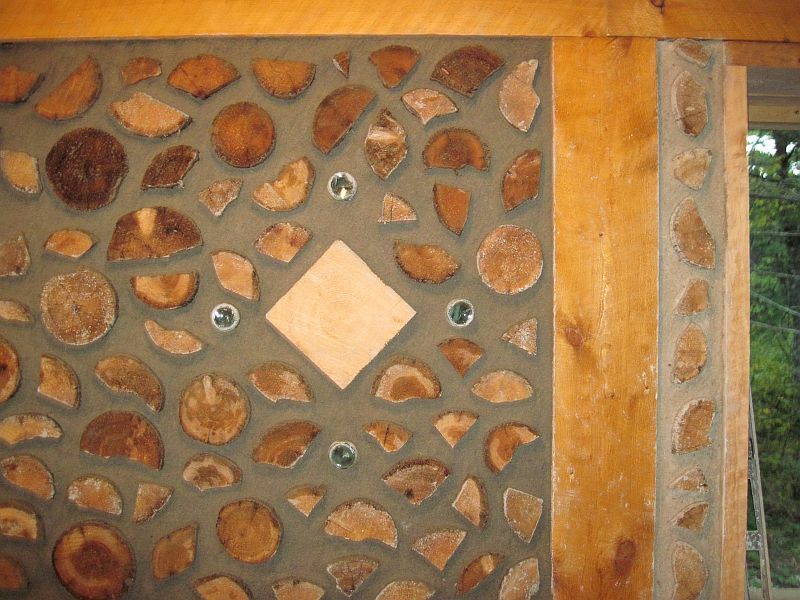 They have done an outstanding job of log placement and put some beautiful patterns into the walls. Above is Orion and below is a diamond with four directions marked by bottles. 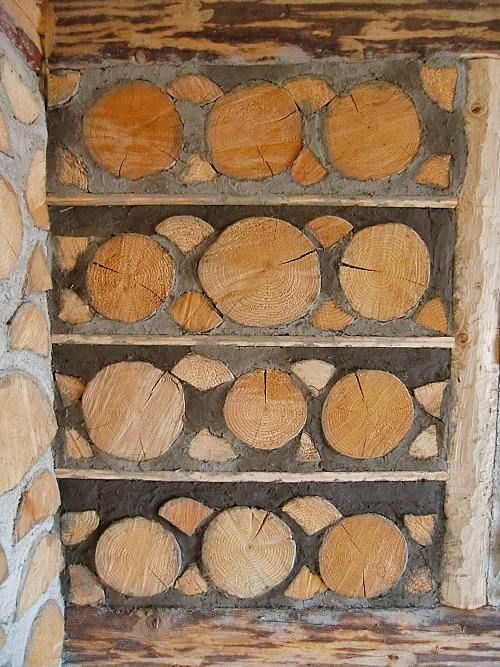 Olle Hagman of Sweden has been teaching and writing about cordwood (called Kubbhus in Swedish). Olle is going to come out with the first cordwood book in Swedish in 2014. 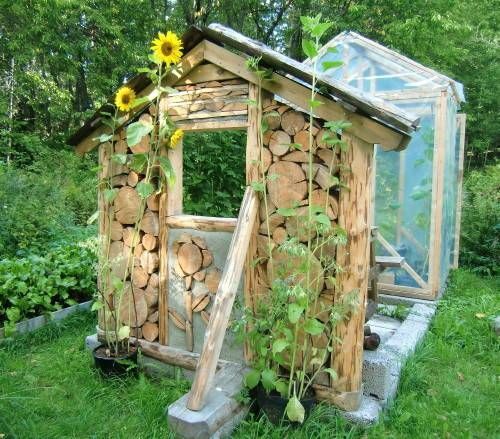 Above is a single wall, dry stack cordwood motif, built as a whimsical artistic statement in front of a garden greenhouse. Here is a wall of traditional Swedish cordwood, where the rows of cordwood are sectioned off with one inch dimensional lumber. 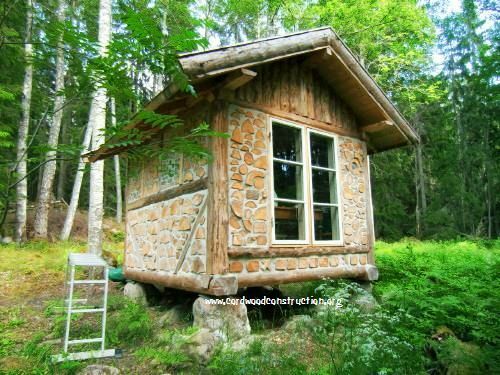 Here is a good view of Olle’s writer’s cabin in a quiet forest opening. I will let you know when he is finished with his new book! 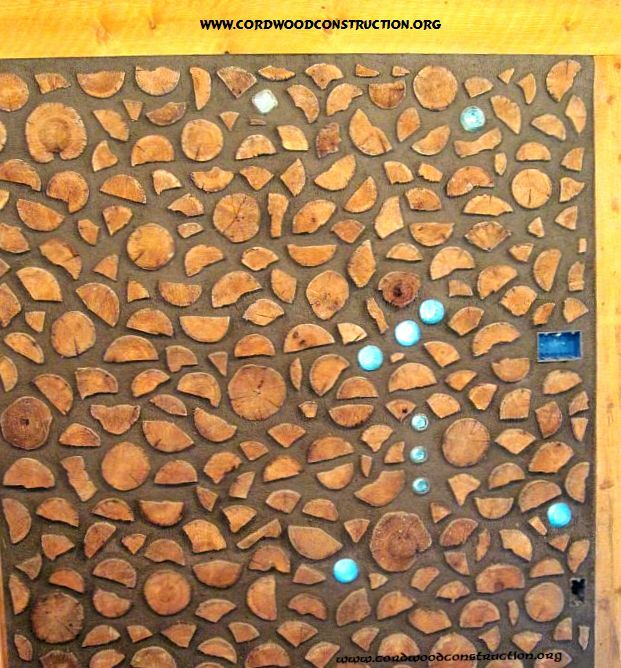 If you are interested in learning more or want to read some of the latest and most up to date literature on cordwood go to www.cordwoodconstruction.org and click on Online Bookstore. Many of the books are in ebook format so you can read them on your computer, smart phone or pad.